The National Gallery 2017-2018 exhibition program is out. 1858 has compiled for you the press releases of two fantastic exhibitions not to be missed in the forthcoming months. The major new exhibition, Cézanne Portraits, will bring together for the first time over 50 of Cézanne’s portraits from collections across the world, including works which have never been on public display in the UK. Paul Cézanne (1839-1906) painted almost 200 portraits, including 26 of himself and 29 of his wife, Hortense Fiquet. Cézanne Portraits will explore the special pictorial and thematic characteristics of Cézanne’s portraiture including his creation of complementary pairs and multiple versions of the same subject. The exhibition will also consider the extent to which particular sitters shaped the characteristics and development of his practise. 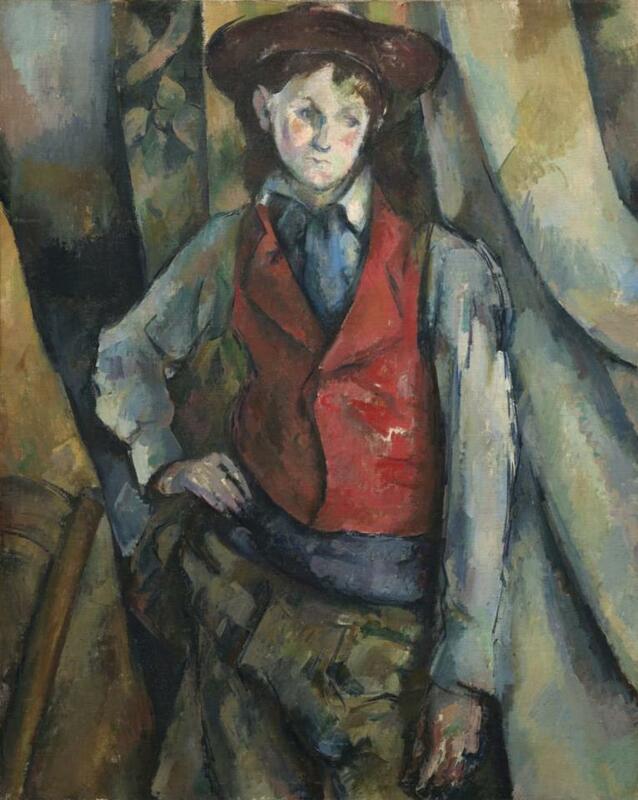 Works on display will range from Cézanne’s remarkable portraits of his Uncle Dominique, dating from the 1860s, through to his final portraits of Vallier, who helped Cézanne in his garden and studio at Les Lauves, Aix-en-Provence. Cézanne is widely understood to be one of the most influential artists of the nineteenth century. Generally categorised as a Post-Impressionist, his unique method of building form with colour, and his analytical approach to nature influenced the art of Cubists, Fauvists, and successive generations of avant-garde artists. This major new exhibition brings together, for the first time, the works of four of the most celebrated figures in art photography, Lewis Carroll (1832–98), Julia Margaret Cameron (1815–79), Oscar Rejlander (1813–75) and Clementina Hawarden (1822-65). These four artists would come to embody the very best in photography of the Victorian era. Their experimental approach to picture-making and radical attitudes towards photography have informed artistic practice ever since. Featuring striking portraits of sitters such as Charles Darwin, Alice Liddell, Dante Gabriel Rossetti, Thomas Carlyle, George Frederick Watts, Ellen Terry and Alfred, Lord Tennyson. Both texts are extracts from the National Portrait Gallery website. Image credit : National Gallery of Art, Washington.